This website was created to allow the sharing of information that several relatives gathered over the years. Those that contributed to the site are explained in the “Feature Story 2” under the "Feature Articles". You will be able to view details about deceased individuals but you will need a user account to view information about living individuals. If you are interested in a user account click the “Register for a User Account” on the left side and fill out the information in the screen. You can view all surnames of the website by clicking the “Surnames” hyperlink on the left side. You can search for individuals by entering their last and/or first name and click the “Search” button. If you would like your family information updated you can update it by having a user account or click on one of the "Forms" hyperlinks on the right side. This will open a page you can print out. After filling out the form, mail it to John Rausch, 47047 240th St., Dell Rapids SD 57022. If you have any suggestions about information to include in a feature story please email me your ideas at jnrausch@goldenwest.net. Feature Story 1 How To Use This Site. Feature Story 2 Contributors to this site. 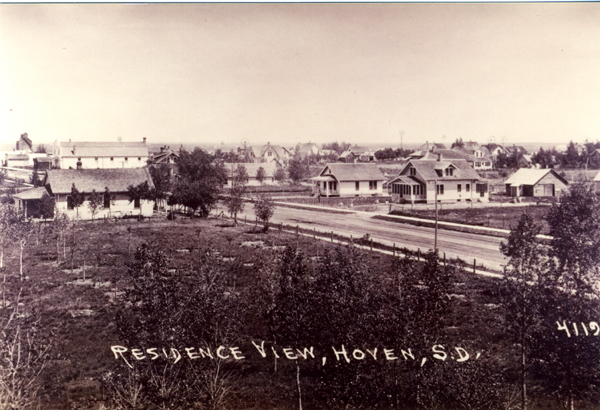 Feature Story 3 Hoven" Rausch Ancestors. Feature Story 4 Still under Construction.